It had long been a serious inconvenience to the trading companies that they couldn't find anywhere good sea charts of the coast of Iceland or information as to the most suitable and safest entries to the various harbours. In 1776 an experienced Danish captain, Hans Erik Minor, in the service of a trading company was sent to Iceland. His task was to survey all the coasts and harbours, and investigate the fishing grounds and everything else involved in the preparation of charts. When Minor died in 1778 he had completed surveying the area from Reykjanes via Faxaflói and the northern part of Snæfellsnes as far as Stykkishólmur. The charts that Minor had completed were published in the year 1788 by the founder of the Danish Hydrographical Office, Poul de Løvenørn, with his corrections and alterations. In the same year that Minor began his work, the Danish Captain J. P. Wleugel surveyed the Eastern Fiords, from Hornafjördur to Borgarfjördur. 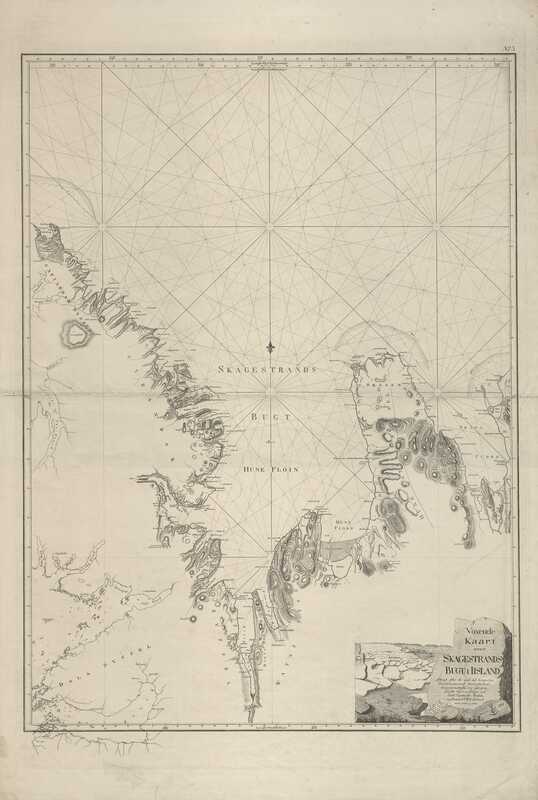 Løvenørn's publication of Minor's charts and the accompanying description of the coasts marked the end of an important chapter, and applied to precisely those regions where sailing could be expected. But there was still a long way to go before the projected task of surveying and charting all the coasts of the country was completed. Government interest in the affair seemed to have died when it no longer had to worry about the Icelandic trade monopoly. It is at this point that Løvenørn re-enters the picture and gets the project going again. A detailed report was sent to the king in the spring of 1800, and Løvenørn was consulted regarding all decisions, plans and preparations. In this resolution it is proposed that the survey of the coast be continued, based on thorough measurements of latitude and longitude, and triangulation. At the same time it is pointed out that the charts of Minor and Wleugel are not sufficiently reliable. It is urgently necessary to get best possible picture of the coast, this being a matter affecting the interests of the whole nation. In the following spring (1801) the Norwegian captains Ole Mentzen Aanum and Ole Ohlsen were sent to Iceland to start surveying. The work wasn't completed until 1818 and among the people who were involved were Hans Jørgen Wetlesen, Hans Frisak, Michael Smith, Hans Jacob Scheel, Moritz L. Born and the surveyor Arent Aschlund. The charts of the coast were published during the years 1818-1826 on six sheets. Løvenørn saw to their publication with the help of Scheel. The chart of Faxaflói was omitted, however, the intention being that the old chart by Minor from 1788 should continue to be used for the time being. The charts were accompanied by three volumes of pilot's instructions. 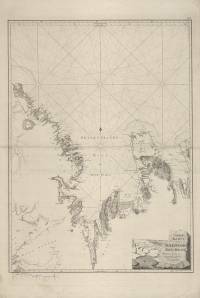 With the publication of the maps a big step was taken in the direction of surveying the country and the coastal lines were drawn for the first time approximately right.